SCOTLAND -- What happens when you mix a high end professional kite rig and the uplifting winds of Scotland? -- funny video. A group of friends were testing a new kite when one of the bunch took a short, but very unexpected flight through the Scottish skies. 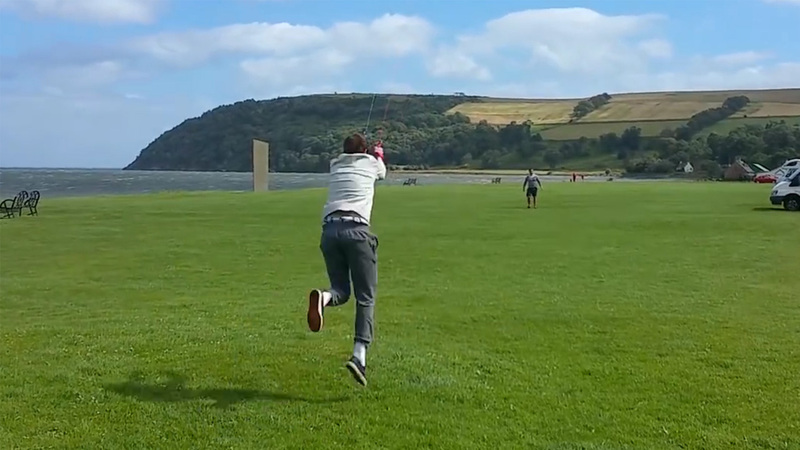 Ed Bird was catapulted through the air, with the help of the high wind and kite combo. His friend, Daniel Simpson, chuckling, captured the action on video.